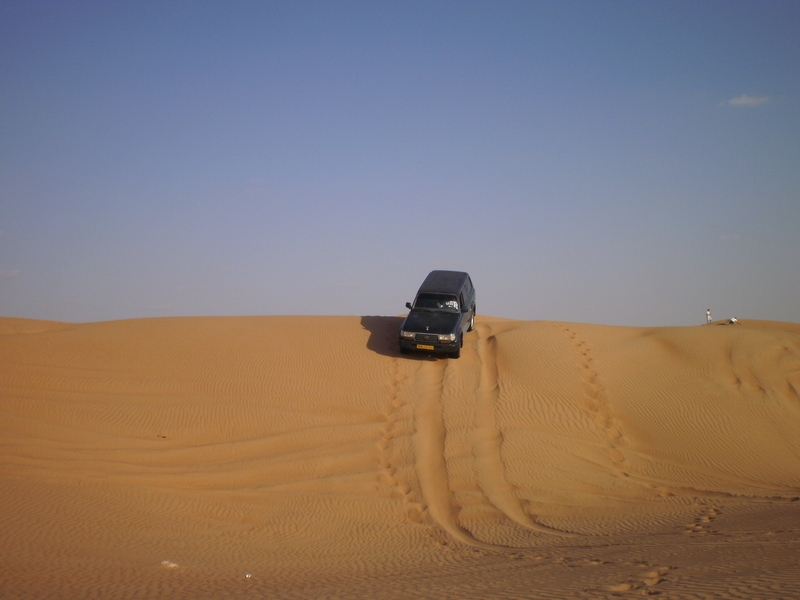 As soon as you arrive in Oman, you’ll be struck by its truly global range of cuisine. While you can find everything from cannelloni to croissants, bagels to biryanis – and often on the same street – no visit to Oman is complete without trying the fine local fare. We take a look at some of the nation’s signature snacks and defining dishes. If you find a man dressed in white slicing at a juicy hunk of meat rotating on a spit in front of a vertical grill, you’ve probably come to a shawarma stall. Some of these establishments are so popular that their queues of patrons – both on foot and sat in cars – occupy entire streets. There is something highly addictive about these succulent lamb and chicken kebabs. No-one can be sure whether this is down to the meat itself, or its marinade (often including garlic, lemon juice, cardamoms and pepper), or the other possible fillings: zesty pickles, lush tomatoes, onions, olives, French fries. Garlic sauce adds richness to the taste; chilli sauce adds piquant excitement. The customary lunch of the Muslim festival of Eid, harees is as perhaps as old as Islam itself. It’s a lip-smacking porridge of roughly-ground wheat slow-cooked overnight with butter and cuts of chicken. 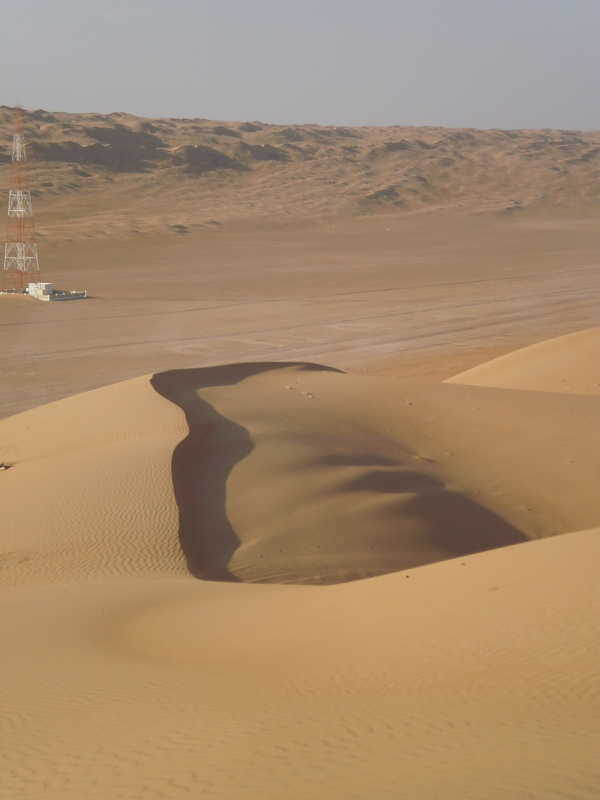 Both tart and hearty to the taste, harees is energy-rich and the ideal fuel for a wander in the desert. Similar in consistency to harees, but blessed with a nutty and bracing bouquet, kabouli is a goat and rice-based stew completed by cashews, pine kernels and lemons. 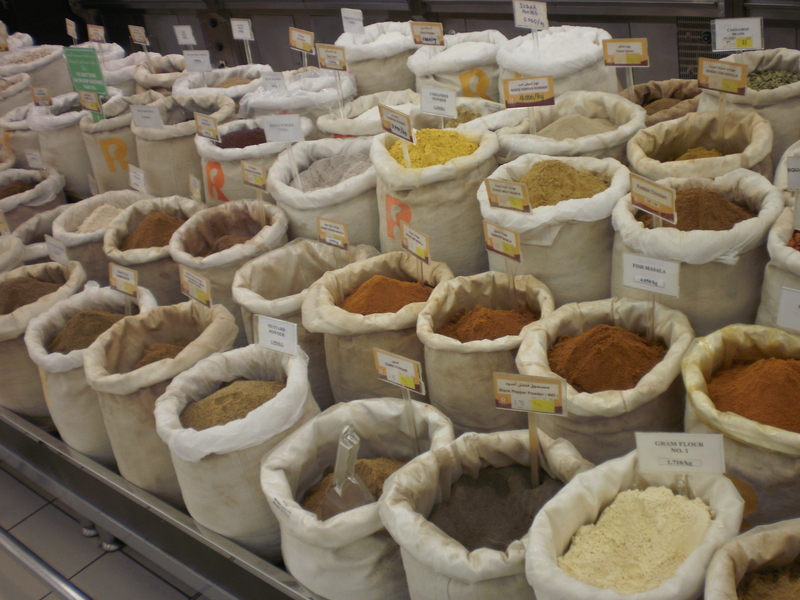 The panoply of spices used – cinnamon, cardamoms, saffron, cloves – date this titbit back to the era when Oman was one of the world’s spice trading centres. If Omanis have a weakness for sweets, they also do healthy greens rather well. In most local restaurants – not to say plenty of curry houses and Western-style eateries – a fresh and beautifully-arranged salad is often served before the main order. Expect to find tomatoes, onions, olives, cucumbers and spring onions, all drizzled with paprika and a tangy lemon dressing. Newcomers to the Middle East are often amazed by the versatility of what seem to be simple and unpromising ingredients. Thus the humble chickpea can be converted into the wonder that is hummus, albeit with a little help from tahini (sesame seed paste), oil, garlic, lemon juice and salt. Whereas Westerners may be used to hummus as a dip or spread, Omanis use it creatively in a dazzling variety of toothsome dishes. Drop into a budget coffee shop at lunchtime and try chicken liver and hummus. The brackishness of the liver is a lovely counterpoint to the balminess of the hummus. The best way to enjoy this slightly sloppy delicacy is by scooping it up with a round of hot guruz al gamar (handmade flatbread). In the old days, the bountiful seafood of Oman’s Arabian Sea coast added variety to the rice, goat and vegetable diet of the interior. The festival-time ritual of delivering dried fish to a wadi (fertile valley area) by camel may not be so common nowadays, but you can still find dried shark meat – often in soups – that tastes so exquisitely briny as to be almost smoky. Samak pablo (fish in a turmeric and coconut milk gravy) is harder to find, but equally as appetising, recalling the exotic mellowness of certain Indian dishes. You’re more likely to find showa in a family home than in a restaurant, partly for reasons of practicality: it can take up to three days to cook. Another Eid favourite, it’s essentially an entire lamb, pungently-spiced and cloaked in banana leaves cooked over charcoals to tender perfection. It’s often served with lemon chutney and salt-dried shark. In contrast to the no-looking-back modernity of Dubai and Kuwait City, Muscat is strongly in touch with its past. The Sultan himself takes a personal interest in heritage and laws exist to stop the building of skyscrapers lest they ruin the city’s historical character. Enclosed by 400-year-old fortifications and a steep mountainside, the Old Muscat district is like a basket into which many of Oman’s finest heritage attractions have been placed. Whether you want to learn about the country’s role in the 19th century arms trade, its Bedouin handicraft traditions or how its citizens lived aeons ago, Old Muscat’s museums, military buildings and restored houses have all the answers. The standout museum is Bait Al Zabair, a complex of elegant and angular cultural houses detailing the history of Omani arts, crafts, architecture, industry, fashion, agriculture and cartography. Starting life in 1914 as the sumptuous home of statesman Sheikh Al Zubair bin Ali, two-storey Bait Al Bagh (House of Gardens) boasts gleaming khanjar (ceremonial daggers), muskets and fine examples of traditional dishdasha (men’s gowns), sirwal (women’s gowns) and lihaf (headdresses). The elaborate silver and gold al-hirz (necklaces) were designed to carry small copies of the Qu’ran. The hand motifs symbolise Fatimah, the daughter of the Prophet Mohammed. The original furniture in Bait Al Bagh – tea trays, gramophones, pearl-handled chests of drawers – bespeaks 1930s England, although the beautifully carved al-sandouq (chests) blend Persian, South Asian and North African styles, while the flat, high-legged bed is distinctly Arabian. A faraj (ancient irrigation channel) snakes through the garden towards the ultimate tribal scene: a barasti (hut made from palm fronds lashed together with rope) containing Bedouin rugs handwoven from goat hair. Next to this is a fascinating scale diorama of Old Muscat as it would have appeared in the 18th century. Little model soldiers roam the fortifications and fisherwomen kneel beside the pond-simulated sea. Bait Al Nahdhah (House of the Renaissance) is a tribute to the Omani cultural renaissance that began in 1970. Its collection of art works – the largest in the country – range from modernistic portraits to traditional etchings, conceptual sculptures to Muhammed Al-Zabair’s series of celebratory photographs, ‘My Beautiful Country’. 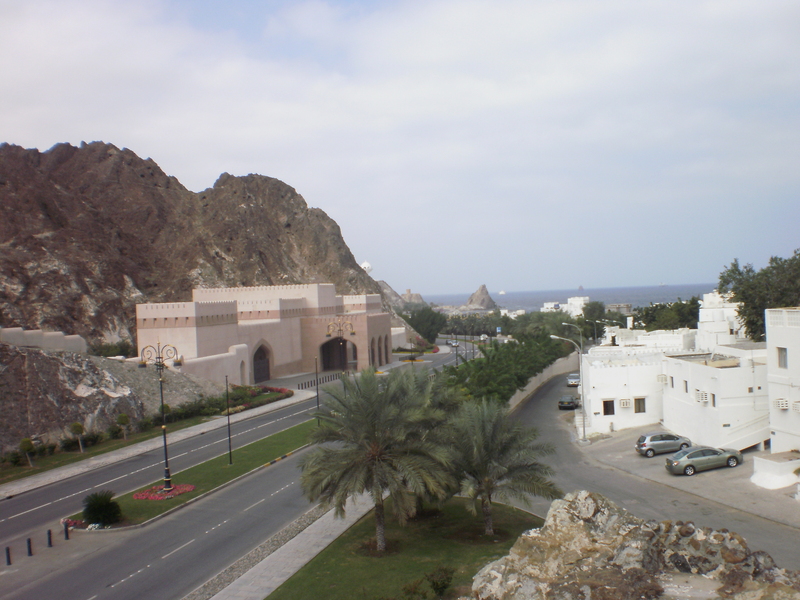 Bait Al Oud (Grand House) is done out in 19th century Islamic style and is remarkable for its dozens of early – and often inaccurate – European maps of the Arabian Peninsular, black and white photos of Muscat and antique Arabian coins. The model ships with curved prows are based on the sambuq (pearling ships) originally built in Sur and likely derived from Portuguese caravels. Given the insight Old Muscat offers into military history, it’s apt that there’s a martial feel to its streets. Road barriers, gold spikes jutting from walls and zigzag patterns on the curbs surround the robust Muscat Gate on Al-Sadiya Street, used from medieval times until the 1970s to repel land-based invaders. The Muscat Gate Museum makes a panoramic sweep across civic history from Neolithic times to the present, taking in the development of the city’s mosques, forts, souks (markets) and distinctive neighbourhoods. Looming from a rocky headland on the harbour are the mustard-coloured turrets of the Al-Jalali fort, erected by the Portuguese in 1587 to defend against Persian naval attacks. Over the following centuries, the fort was modified and strengthened by successive Sultans. The only publicly-accessible section of it today is a small museum containing cannons, matchlock rifles, incense burners and a priceless old map showing Portugal’s colonial presence in Oman. Al-Jalali comes to life during royal ceremonies when bagpipers fill the battlements and fireworks are let off overhead. 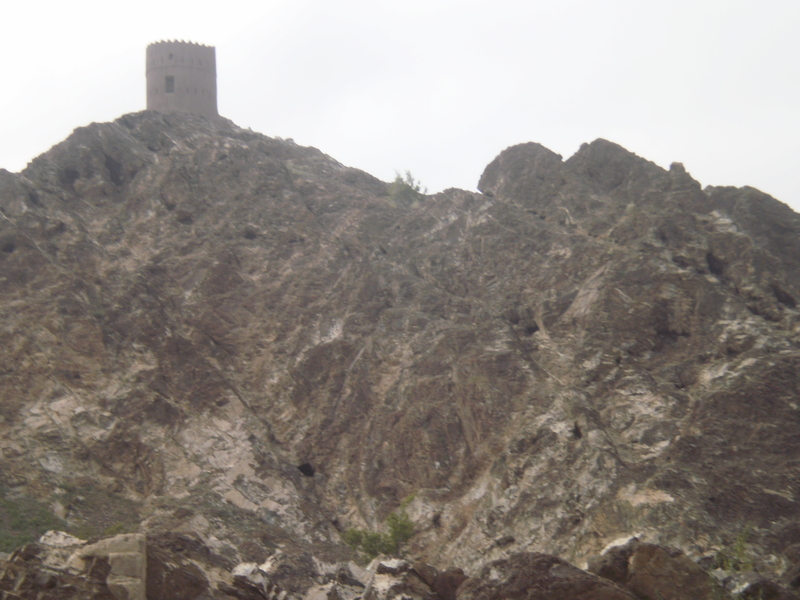 On the opposite western headland is Al-Mirani Fort, built at the same time as Al-Jalali. Legend has it that, in 1649, an Indian trader tricked the Portuguese in charge – who had fallen in love with the trader’s daughter – into removing all weapons and gunpowder from Al-Mirani. The local imam, Sultan bin Saif, promptly sacked the fort and this marked the end of Portuguese influence in the region. The Omani-French Museum is housed in the handsome white former French consulate on Qasr Al Alam Street. Its archive of treaties and proclamations, pictures of the first French diplomats to visit Oman and assortment of clothes and jewellery tell the story of the long-standing relationship between these two nations. 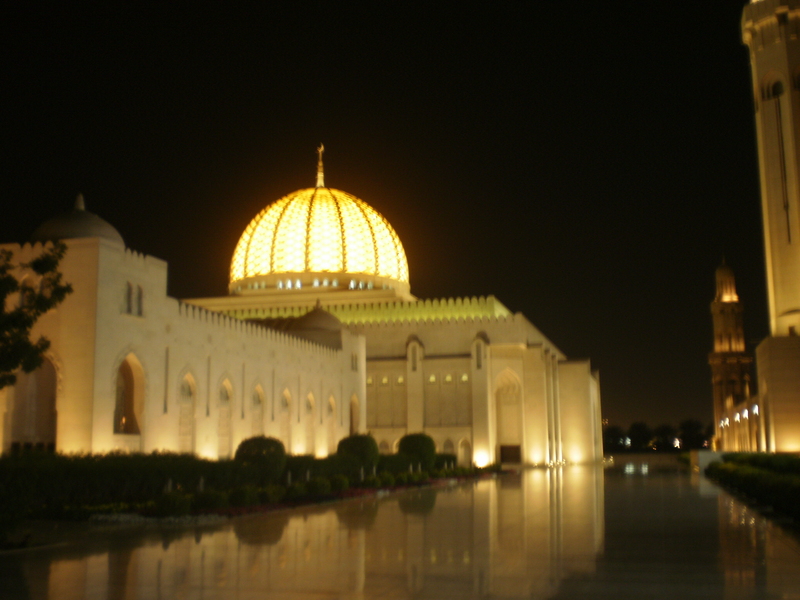 The crowning glory of Old Muscat is Al-Alam Royal Palace, the official residence of the Sultan of Oman. Although the public can’t go further than the gates, the view from here of the vaulted arches and the umbrellas-blown-backward cupolas is magnificent. Outside the palace walls are orderly beds of Burmese grass and delightful avenues of palm trees. During the era of the Arab Slave Trade, a flagstone stood on the site of the modern palace. It was believed that any slave who kissed the stone would be granted freedom.